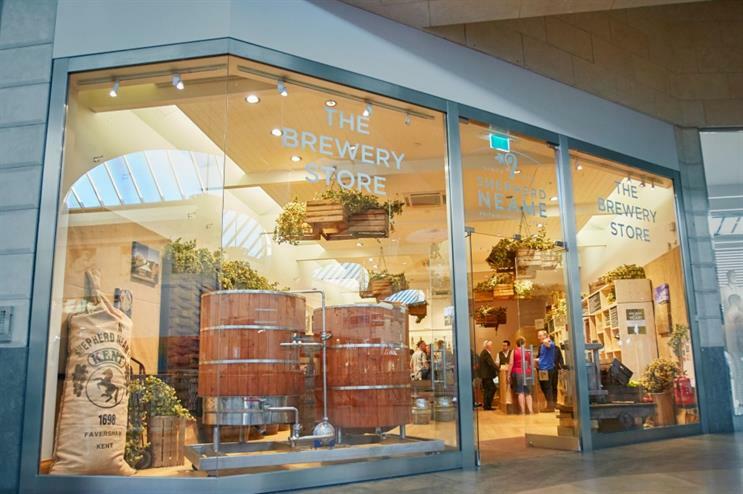 Independent brewer Shepherd Neame has launched an experiential pop-up brewery at Bluewater shopping centre in a bid to further showcase the brand. Shepherd Neame's pop-up brewery will be open at Bluewater shopping centre until 5 July, and has been designed as a 1,800 square foot brewing boutique. Guests can enjoy a bar serving the brand's first ever cider, Orchard View, as well as the new Cinque Five Grain premium lager. Visitors can also immerse themselves in a world of brewing, and test out the 'HOPS360' virtual reality experience which will take them on a tour of a hop garden. In addition, there is an opportunity to purchase Shepherd Neame merchandise and bespoke products from the brew shop. Jonathan Neame, CEO of Shepherd Neame, said: "It’s great to have collaborated with Bluewater, an exciting and thriving retail destination in Kent for our pop-up store. We have a fantastic line-up of merchandise, our new cider and premium lager, promotions and activities for Bluewater guests. We look forward to welcoming enthusiasts and those curious to learn more about beer and brewing." Heinz Kloihofer, leasing manager at Bluewater, said: "Shepherd Neame’s arrival is a unique addition to Bluewater, and will further cement our status as destination of choice for memorable shopping experiences. Shepherd Neame has created a great brewing boutique store, that really brings their brand to life, showcasing their products and immersing guests in the world of Shepherd Neame." More: Last month, it was announced that Missguided would open a permanent experiential store in Bluewater shopping centre. Also in May, Brooklyn Brewery opened an immersive beer mansion in east London.